Are you worried about your child's loose tooth? Is it your first time going through it as a parent? As you many already know, there are many different ways to help ease the pain of a loose tooth. Losing a tooth shouldn't be too painful, but if it is more than likely the child is probably trying to pull it, and it's not quite ready to come out just yet. 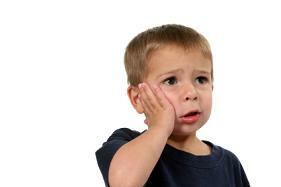 We are going to clarify how to help with the pain for your child loose tooth. Your child usually loses their first tooth between the ages of 5 and 8. They usually fall out in about the same order they come in. So, if your child is having some pain with a loose tooth that isn't ready to come out just yet. Here are some helpful ideas to try and help ease the pain. Try putting some pain-relieving gel around the gum where the loose tooth is. Just make sure you don't overuse the gel on the area. Try having them hold a cold compress like ice or a bag of frozen item in the area of where the loose tooth is. You can also try giving them children Tylenol to help with the pain. Unfortunately, your kids might experience some pain from their loose tooth. The only thing you can do as a parent is be prepared and help them through it. Telling them about the tooth-fairy gives them something positive to look forward to. If the pain gets to where your child can't stand it, please reach out to our office. We may want to check your child's mouth out to make sure that the pain isn't coming from something too severe.